The original bus numbered STL2093 was delivered to London Transport in June 1937 and allocated to Cricklewood garage in north London. 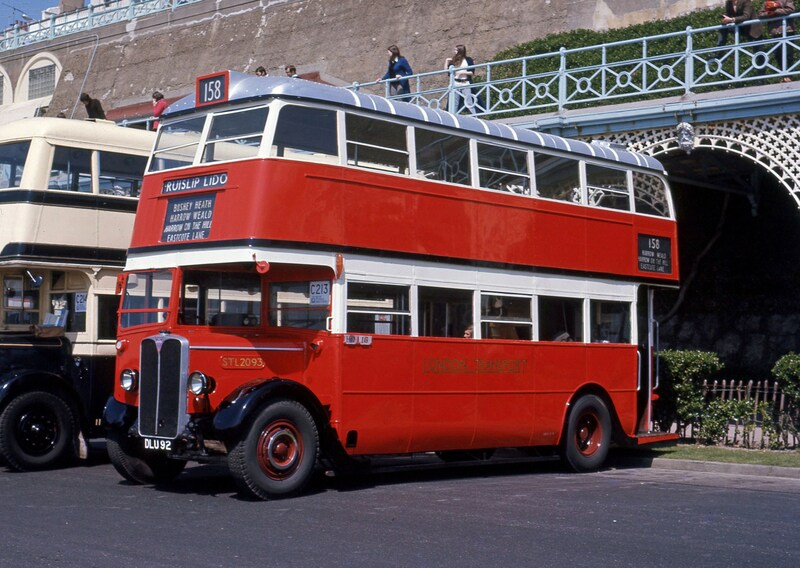 It was one of a batch with Park Royal metal-framed bodies which later suffered severe corrosion problems. 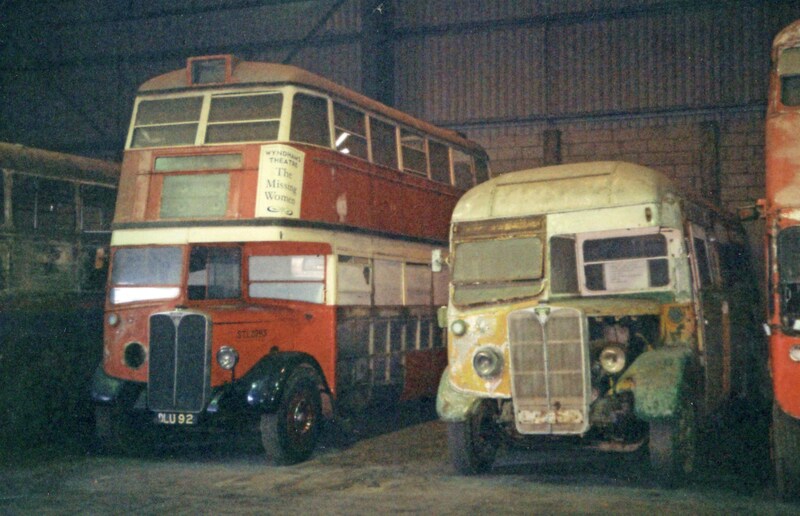 Most of them had these problematic bodies scrapped during 1948-1949 and were given the wooden-framed bodies from a 1939 series of STLs. The bus by then with the identity of STL2093 received its wooden-framed body in April 1949. 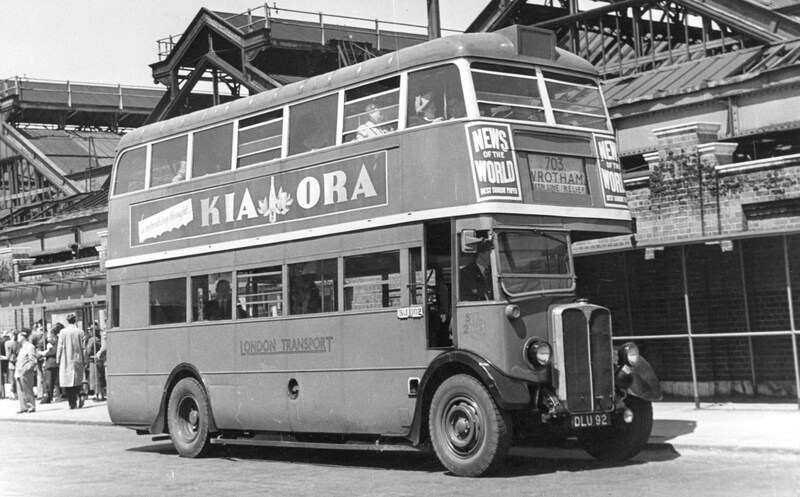 Finally withdrawn from Alperton garage in the early part of 1954, it was relegated to a training vehicle at Merton and later Stockwell garages until March 1955. 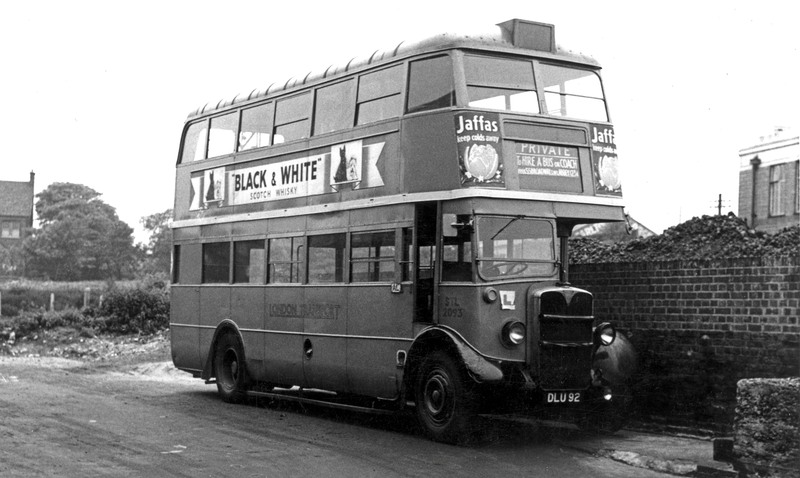 STL2093 in use as a driver-training bus in 1954. Photographer unknown. 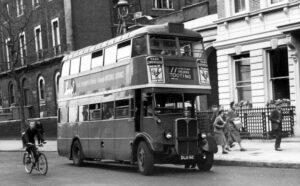 STL2093 was one of a small number of STLs to be sold for further service; in August 1955, it joined Reliance Motor Services of Newbury as their fleet No 39, passing into private preservation in May 1958, a very early example of such. 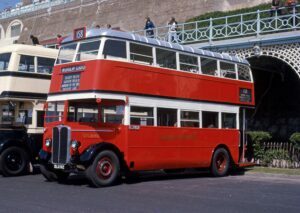 It was re-painted into pre-WW2 London Transport livery and rallied for a few years but its condition under the skin was very poor and the bus gradually deteriorated. 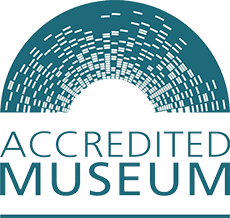 It joined the Museum Collection in 1984 and fulfilled a role as the “Regent Cinema” playing films for visitors until the Museum moved to Brooklands. During the Museum’s move, the Ensign Bus Company kindly stored STL2093. We are grateful to them for their help. In Jan 2017, STL2093 returned from storage to feature in the WW2 audio/visual display. 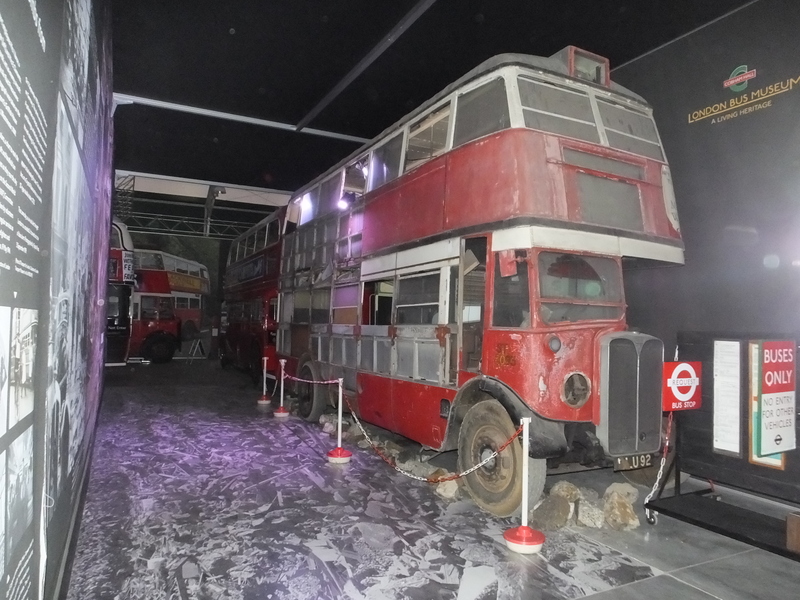 Although looking sad in its unrestored condition, 2093 provides a good insight for young visitors how buses suffered in the war. Vehicle Classification: STL. It is not clear what the letters stand for – some suggest Short Type Longer or Lengthened but this has never been confirmed.